Nevertales: The Beauty Within is a recently released hidden object puzzle adventure game that reminds you of how hugely amazing things can happen when you least expect them. It is an interesting story full of all kinds of challenges for your mind! The game features four modes, one of whitch is custom and it allows quite a lot of freedom of choice. You play as a detective who has just closed a case successfully. Ready to take a break and relax a little bit from your work, you just about to start the most thrilling case of your life. It all begins with a baby left at your door. You try to find out who is this baby and why the note said that you are the only one who can save her and soon you find yourself in a mension wher there is a portal that takes you to another world! The graphics and sounds reflect this mysterious yet not dark atmosphere. The drawings are very beautiful with a lot of detail. The game features four modes, one of whitch is custom and it allows quite a lot of freedom of choice. There are a lot of collectibles and achievements and other extras. There's an interesting little companion, a robot owl, that helps you reach things. Another great helper is you cell phone, where you have a GPS map, important information, your achievements etc. 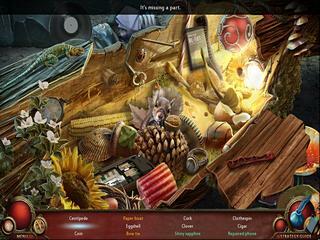 The hidden object scenes are highly interactive. You have to do quite a lot to actually get what you need to complete it and move on. 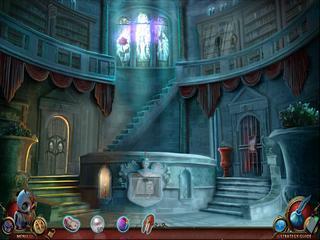 Nevertales: The Beauty Within is a wonderful HOPA game with a lot of extras. If you like this one, you should check out the previous release. If you enjoued the previous release, you are gonna love this one as well! This is Nevertales: The Beauty Within review. Download this game here.